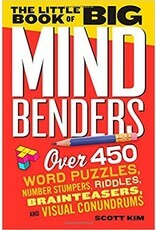 Smart, addictive, challenging, fun, and good for the brain―here, in the irresistible 4" x 6" games format, are more than 450 truly satisfying, mind-expanding, full-color puzzles. It’s like salted peanuts for the puzzle aficionado and boot camp for the neophyte who wants to give his or her mind a workout. 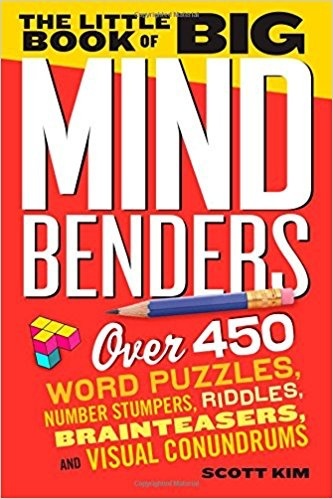 Created by puzzle master Scott Kim―a contributor to Games and Discover magazines―and adapted from the bestselling Amazing Mind Benders Page-A-Day Calendar, The Little Book of Big Mind Benders is a cornucopia of spatial puzzles, number challenges, wordplay, visual conundrums, and more. The puzzles are categorized by type but distributed throughout the book in a mixed fashion (i.e., a word puzzle next to a number puzzle next to a visual stumper). Readers can move page by page, working different parts of the brain―or easily find their favorite type of puzzle, going from easy to challenging.